Cameos are a classic peice of jewelry and the victorians adored them! 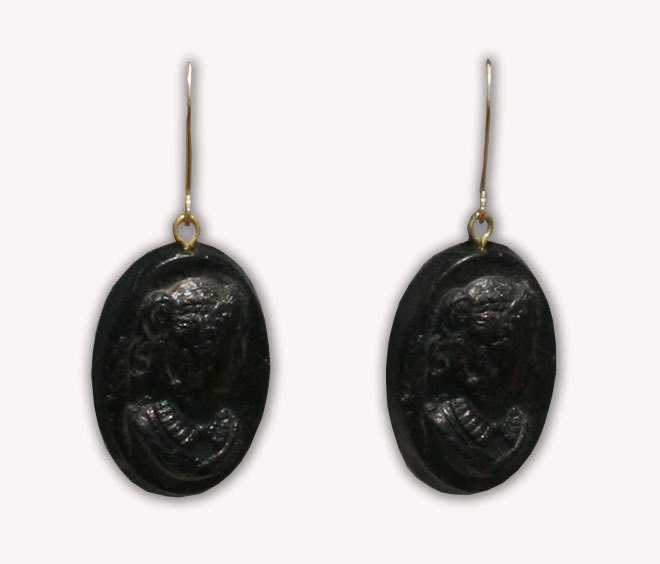 These earrings are faux gutta percha in a classic cameo design. The are a one inch drop and very lightweight!